VoIP has exclusively become a tool which can be used to call with the use of PC. But with the help of the latest technology, you will be able to make calls through mobile phones with the help of VoIP. This is made possible with the help of mobile dialer with which the calls can be made through Android or iOS-based phones. The mobile dialer for android and iPhone virtually looks like a mobile phone dialer. The respective application can empower the VoIP calls by getting it installed in the respective cell phone. The calls will be made using the Internet available and the virtual dialer is flexible enough to be operated in different frameworks developed. The respective application makes use of the SIP stage to get associated with the system. You need to pay a little sum for the Internet pack and administration of VoIP and after that, you will be able to make a call to anyone from anywhere from your respective cell phone. Bypassing the Telecom administration supplier, the call will be made with the help of this virtual dialer. 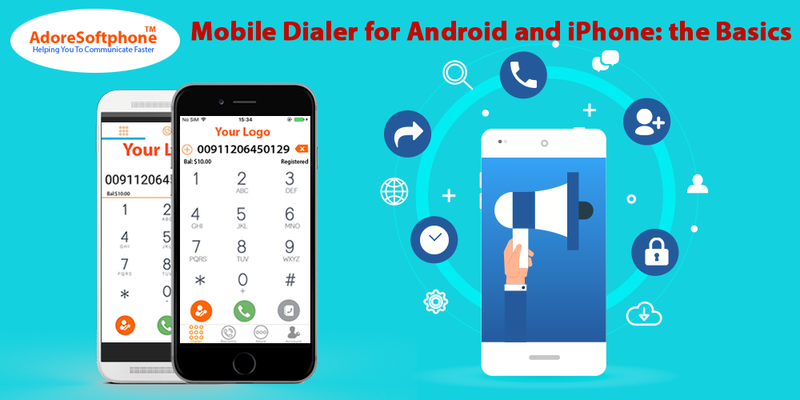 You can get a number of Mobile dialer application to make a call through it but you need to make sure that the respective dialer is compatible with the operating system before installing it. There are mobile dialers which are made specifically for a particular operating system. So, before installing a one for your needs, you need to check the compatibility of your cell phone’s OS with the respective application. You can do it by having a good look at the specifications of the mobile dialer. Most of the time you will find compatible mobile dialers for android and iPhones. These operating systems are the popular ones which are fully compatible with the most Mobile Dialer. Most of the major brands of the mobile phones use these operating systems in the world. As soon as the virtual dialer application is installed on your compatible cell phone, you just need to connect with the Internet. There are many options available to that through 3G, GPRS, Wi-Fi, or hot spots. Once it gets connected, you can easily make the calls from your device. There are a number of features which will certainly make the usage of mobile dialer even more interesting. Some of the advanced attributes and personalized design certainly make this application a must in every smart phone. With the help of the licensed application, you will also be able to put your company logo and name in the interface. You can also make use of many other customization features as per your device compatibility. So, it’s the best option to not only save time but expense also!